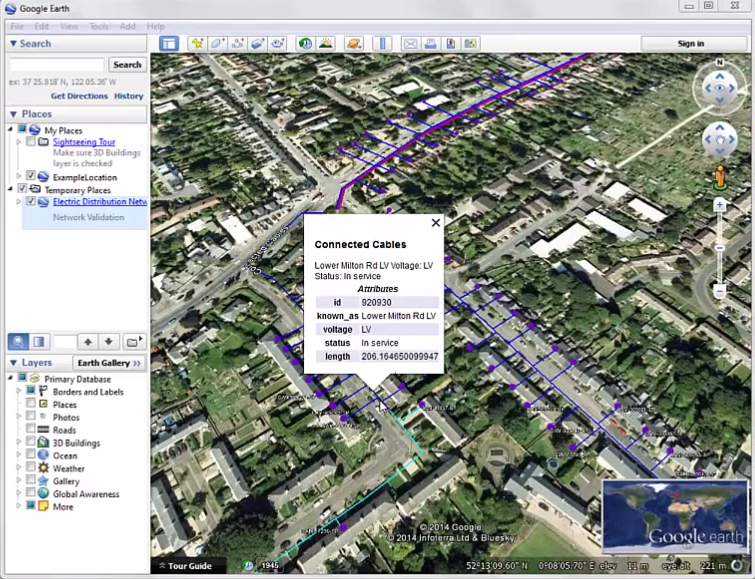 Smallworld is GE’s collection of software solutions for utilities and telecommunications. This powerful GIS suite enables planning and design for serious datasets. But working with data is about more than managing it. It’s about making information available, in both format and model, to enable sharing, collaboration, and unity. It’s also about automating whatever can be automated, freeing you to work on more important tasks. Let’s talk about a few ways you can do a whole lot more with your GE Smallworld data. Converting Smallworld to KML allows us to view this electric distribution network in Google Earth. Integration is the key to increasing the value of data. Information should not be limited by the confines of a given system or format. Like trying to stuff an ice cube into a tiny water bottle, it’s best if you let it melt into the shape you require. Liquefying data allows you to make use of specialized applications, reduce complexity, and unify systems. 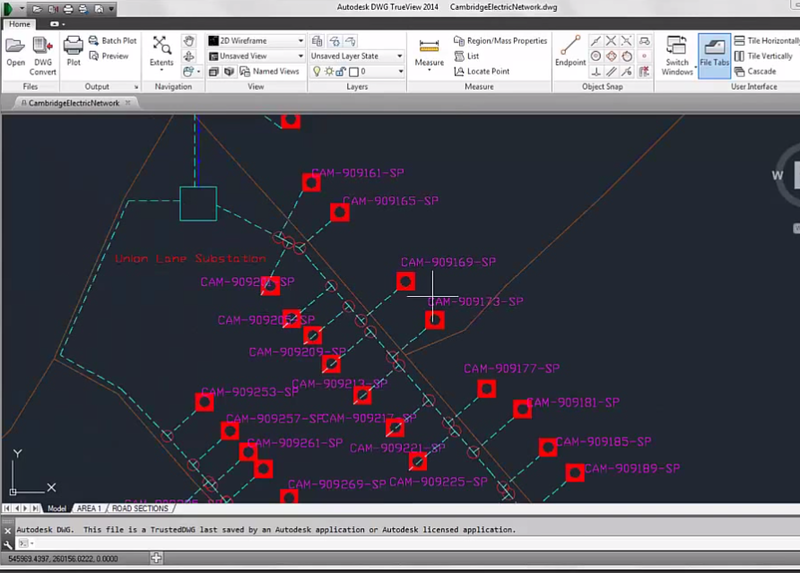 Don’t be afraid to collaborate with another GIS, or convert to AutoCAD, Microstation, CIM XML, PLS-CADD, or any other utilities/telecommunications application. Merge information from a table or external database, pull a JSON feed from the cloud, leverage location intelligence, or—if you feel like showing off—load all your data into Minecraft. In this dataset, the source GE Smallworld objects were mapped to a naming convention that fits the destination Autodesk system. You can transform your dataset to get exactly what you need by manipulating the information’s structure. Useful Smallworld transformations include schema mapping, XML/GML generation, topological entity manipulation, and geometry/attribute restructuring. This PDF is the result of live, automatic calculations on GE Smallworld data and an XML feed. Man has wished for push-button automation in everyday life since … well, at least since 1903. Automating your workflows is critical to productivity. 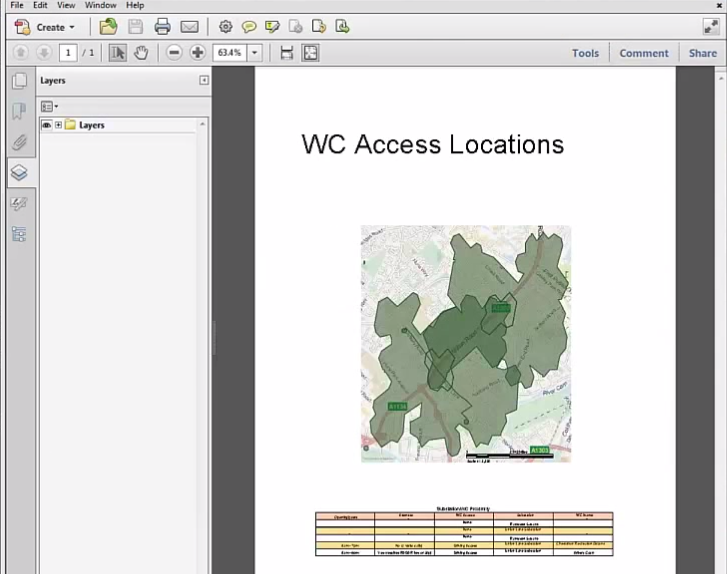 For example, you could automate a quality assurance and validation process based on a given standard, or perform automatic database synchronization (say, with Oracle Spatial), or set up direct, dynamic reading from Esri software. Any of the conversions or transformations mentioned above could be made automatic. 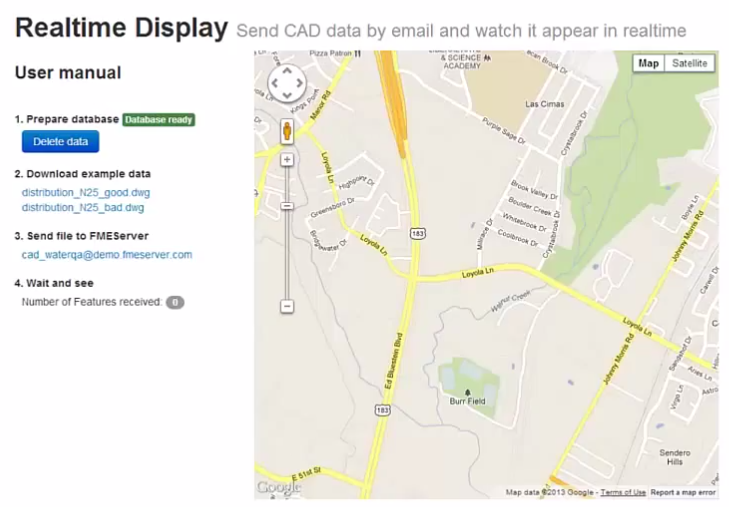 This scenario uses a notification service, database triggers, and Web Sockets to create a realtime map. Taking your workflows to the cloud makes automation even more powerful. FME Server makes it easy to run any workflow on a schedule, and its ability to integrate with GeoSpatial Server means web-enabled data sharing and mapping. For example, you could create a Smallworld data download service, where users choose the output format, pick their desired coordinate system, and set the MBR. Picasso said, “Everything you can imagine is real.” He was definitely talking about geospatial data transformation. We live in a time where you shouldn’t let technology stop you from whatever you need to accomplish. FME’s codeless workflows and automation capabilities enable you to move freely between GE Smallworld solutions and hundreds of other systems, automate transformation and validation, and take the whole process to the cloud for easy collaboration. Watch the recording from this morning’s webinar to see demos and learn more about how you can unlock infinite potential for your Smallworld data.